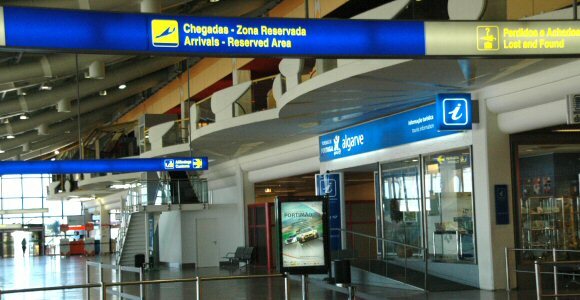 Our core business is renting cars at Faro airport and all over the Algarve but our service goes far beyond that. We strive to give our customers the best possible service at the lowest possible price. WHERE DO I PICK UP MY RENTED CAR? Pick up instructions are sent in the confirmation message when we confirm your reservation. Please read the confirmation message carefully and send us a message if something is not clear to you. WHERE DO I DROP OFF MY RENTED CAR? 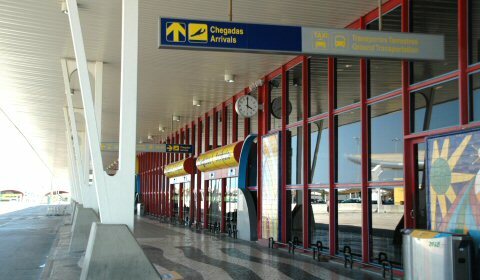 The return of your rented car will be at the location you choose when booking and can be either at Faro airport or at your accommodation in the Algarve. When collecting the car please confirm your drop off locartion with our rep.
HOW CAN I PAY FOR MY RENTED CAR? You can pay on collection by credit card, debit card or cash. A credit card will be asked to guarantee a security deposit. CAN I ADD EXTRAS ON COLLECTION? Yes. If you want to add any extras when you collect the car just tell the rep and your options will be included in the rental agreement and added to your bill. If you are adding extra drivers please be aware that all additional drivers must be physically present at the time of rental with their own driver's licence to sign the rental agreement. WHAT DOCUMENTATION DO I NEED TO SHOW AT COLLECTION TIME? - Your driver licence. UK licence holders MUST bring the photo card and the paper counterpart of their licence. Your driver licence must be written in Roman alphabet. - A piece of identity: Your identity card or passport. - A valid credit card in the driver's name. - If you plan on adding additional drivers to your contract, all drivers must be present and show their driver licence. Call the Police - 112 Call the car hire company (the telephone number is in the contract you signed at collection time). Please fill in the entire accident claim. Keep a copy of the police report. In case of car breakdown please call the car hire company to arrange the replacement of the vehicle. Please be aware that the Insurance company declines accidents not reported to the police, even if you have Super CDW Insurance. WHAT IF I WANT TO EXTEND MY RENTAL? If you want to extend your rental while in the Algarve already driving your rented car please call the company using one of the phone numbers in the contract and arrange with the rep the extendal procedure. Please be aware that the complete period of your rental showld be reflected in the contract and you will be considered out of law and fined if police finds your contract is outdated. WHAT IF ANY EXTRA DRIVER WILL ARRIVE LATER? If there are extra drivers in your party that arrive later and are not present at collection time they must be included in the contract when it is signed at collection time. Please bring with you a copy of the drivers that will arrive later to be included when you collect the car as the contract can't be amended after it is signed. 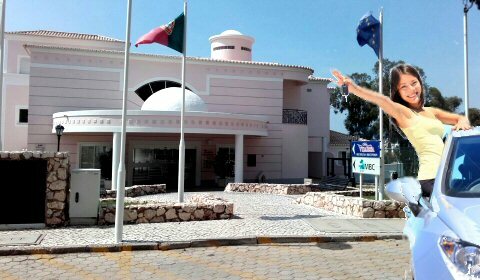 If you have any question that is not answered here, please contact AlgarveCarental and we will respond you as soon as possible. You can count with our Faro airport professional staff to deliver your pre-booked car rental directly form the airport carpark. 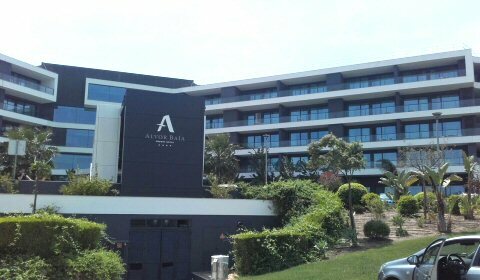 Just let us know in which hotel you are accommodated and at what time you need the car and our car hire professional staff will be there on time. The same as to the hotel. The important thing is that you book ahead so we can schedule the delivery of your rent a car with no faults. Is that you and your family can enjoy a great holiday in Algarve with the help of our great Faro car hire service. To enjoy the best Faro car hire service at Faro airport or anywhere else in Algarve please make your Car Rental Reservation in advance to guarantee your Rent a car delivery when you arrive. Our Rent a Car professional staff, conscious of working in a proud local portuguese car hire company with more than a decade of experience will receive you with the best service and a big smile.